Everything you need to improve your playing. In one place. You can cancel anytime! It's like Netflix of the Blues! 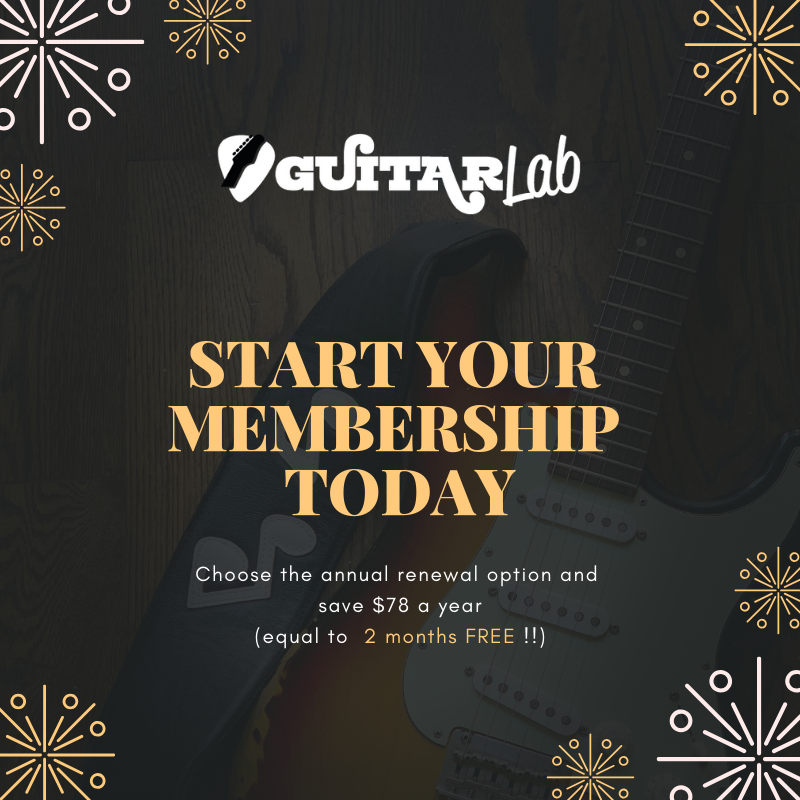 If you’re passionate about the Blues and want to really advance your playing, then sign up for GUITARlab Membership. This option includes everything you need to improve your playing. All in one place. Not only will you receive the best video tuition and feedback from me, a professional blues musician living and playing in New York and traveling around the world to play alongside my heroes, but you will also have a defined learning path mapped out for you so you can progress quickly and master everything from licks and jams to scales and soloing. With the Membership package, you will have access to all of the online courses on the portal, including theoretical analysis, improvisations for you to try, video feedback, scale methods used by the great and jam tracks to practice on. I’ll be there every step of the way to give you constructive feedback and tailor each course to your needs reflecting your progress as you improve week by week. It is like having one-to-one classes without the hefty price tag. With Membership, you will also receive access to new licks, lessons and jam tracks each month and exclusive access to a weekly masterclass, which is only open to members. If you want to immerse yourself in the world of Blues and really feel yourself progressing as you pick up new licks and jams and start to have the confidence to solo and improvise yourself, then this option is for you. Join me and discover a cutting-edge way to improve your playing and a whole community waiting to talk the Blues with you. GUITARlab is where the very best educational material and cutting-edge classes come together with a world-class artist and a unique digital experience to truly inspire our students every day. "All Inclusive" option for a complete and defined learning path. Access all the courses on the portal. New Exclusive Lessons, New Licks and New Jam Tracks, every month! Coupon for GUITARlab Guitar Campus 2019. Join our community and unlock your playing!